At some point in time, you are going to sit down with your grandchildren and regale them with stories of your youth. And you could tell them about how One Direction changed the musical landscape. About when celebrities started becoming presidents. And about how you used to have to actually be in your car to start it or check how much fuel you had. But kids are cynical, especially the children of the future, and they won’t believe you. So instead, you could tell them about how you had all of the world’s music at your fingertips. About how, short of one unfortunate incident, only career politicians held the highest office. And about how you had FordPass™ with SYNC® Connect, and had access to your car at your fingertips. The choice is yours — your future is in your hands. So let’s say you chose the latter of the two, the brighter future. The one that is more Jetsons than Mad Max. Ford will take you there. But, while Ford hasn’t invented flying cars (yet! ), they’ve got the next best thing: FordPass™ with SYNC® Connect. If your vehicle is equipped with SYNC® Connect, just download FordPass™ and add your vehicle into the app. I’ll just let you take a second to download it and . . . There is little that FordPass™ with SYNC® Connect can’t do. It can track your vehicle location which, while it might deprive us of brilliant films, will definitely help in the event of your precious car being stolen. Have you ever forgotten where you were parked in a busy lot? Or forgot if you locked the car? Or forgotten where you parked in a busy lot and whether or not you had locked the car? FordPass™ with SYNC® Connect has you covered. Drop a pin when you park, and never forget again. You can also lock and unlock your car right from your phone, start your car from your phone, or schedule a time you want it to start. Can’t remember how much gas is left in the tank? The app will tell you that as well. Beyond those features, FordPass™ with SYNC® Connect can also connect you to the outside world. It can find you areas to park ahead of time, as well as find gas stations nearby (as well as the price at the pump). Problems with your vehicle? You can live chat with a Ford employee about any vehicle related questions, and you’ve got 24/7 roadside assistance at the tip of your fingers. Not to mention your vehicle can act as a WiFi hotspot for up to ten devices — so that everyone can Tweet about how much fun road-tripping in a Ford is. Look, Team Ford gets it; the future can be a terrifying place. Especially if you watched Terminator 2 when you were eight years old even though your mom said you shouldn’t but you said you wouldn’t get scared (but then had to sleep in her bed for the next two weeks). What, that was just my childhood? I digress. Even though the future can be an uncertain place, one thing is certain: FordPass™ with SYNC® Connect will make your life infinitely easier.  If you’ve got a Ford vehicle equipped with SYNC® Connect and you want to know more about how it works, or are interested in buying a vehicle with SYNC® Connect, then come by Team Ford today and learn more about how Ford is driving innovation.